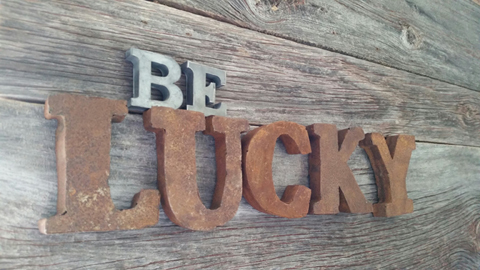 Well, all of us want to be lucky. Who doesn’t? I usually play Table Tennis after office hours and most of my backhands and forehands never hit the table. Duh! The other day, I was at India Internet Day and listening to what Sachin Bansal has to say. He’s the co-founder of Flipkart, India’s biggest e-commerce website. 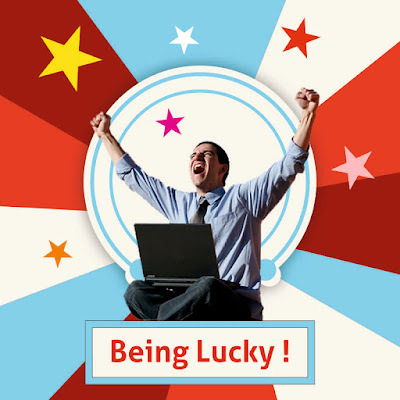 He gave us his secret of success – being lucky. He insisted that he made it big because he was in the right place at the right time. Let me confess I have a bad habit – I’m an avid reader. I read a lot. So do my brothers. And believe me, it’s not that good. It’s always better to read less and do more. 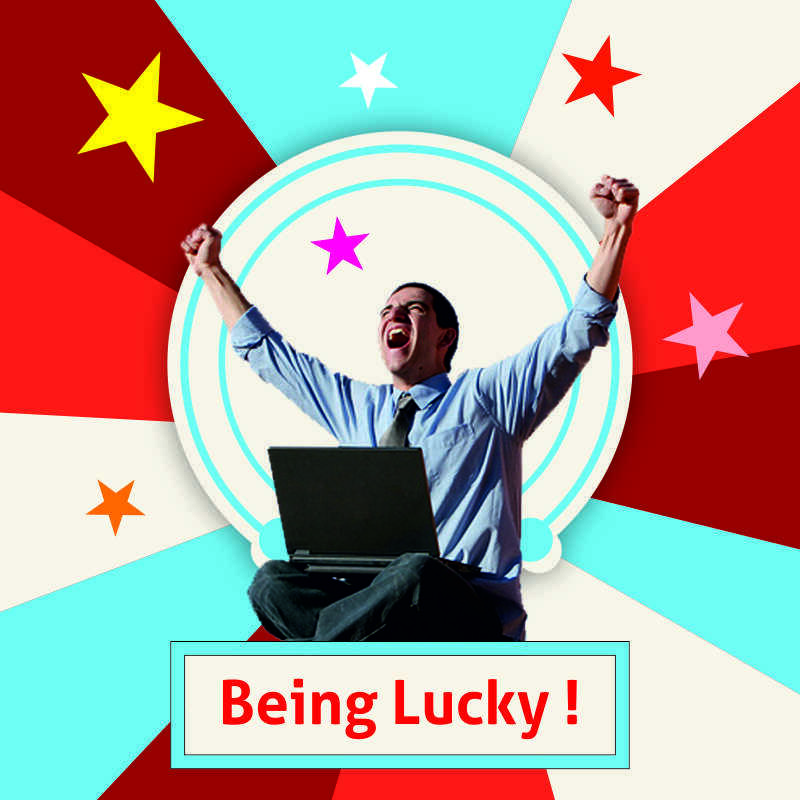 So, what can we do about being lucky? How to be in the right place at the right time? Can we be lucky at all? My answer – of course, we can. Yea, it does. Believe me! How? Let me tell you about myself. I am one of the directors of Ojas Softech Pvt. Ltd. We have created AstroSage.com, world’s largest astrology website. Do I know astrology? Nah. Do I know how to code? Not much. Am I very experienced in online business? Not at all. I’ve become the part of this company as soon as I finished my studies – see, not much of experience. How did I manage to become a part of such a great success story? I was just telling you about my elder brothers and their equally bad habit of reading. Yup, you got it right. They formed the company and I just jumped on the bandwagon. They’re those rare individuals who we refer to as “genius”. Punit, my elder brother, is a born entrepreneur, a master astrologer and a geek – I know, a deadly combo. He created this awesome website called AstroSage, made India’s biggest astrological mobile app and what not. Piyush, my eldest brother, is one of the most creative minds I’ve ever met. He’s a prolific writer and also one of the sharpest brains in media industry today. Talk with him for half an hour and you will get at least ten disruptive business ideas. Both of they founded this extra-ordinary company and guess what! Their success rubbed off on me! As simple as this. I learned a lot from them, they made me one of the directors of the company, taught me entrepreneurship, proved excellent mentors and imparted writing skill – everything invaluable. But, what if you don’t have brothers who are genius and lucky? If you don’t have a genius brother, what to do? Well, find one. That’s the key – going out and finding someone who can help you become successful. Whose luck might rub off on you. And do not restrict yourself to just one, because there’s no point in taking unnecessary risks. Find as many smart people as you can and befriend them. It’s called “Satsanga” in Sanskrit. Taking stock of who you spend time with and spending more time with positive people will keep your brain healthy and make you more productive and happy. May you move in harmony, speak in one voice; let your minds be in agreement; just as the ancient gods were worshiped because they were united. When you help others, they often help you. “Reciprocity” is the gussied-up word people use later in life to describe this ageless principle... Over time, I came to see reaching out to people as a way to make a difference in people’s lives as well as a way to explore and learn and enrich my own; it became the conscious construction of my life’s path. Isn’t it deceptively simple? Seemingly small things matter a lot. The world is interdependent. If you help others be more successful, obviously you’re gonna be more yourself too. If you can tell someone where to find a good book, what’s best restaurant for Italian cuisine, an app that would be very useful, or any value-addition for that matter – you earn the right to be a part of his or her company, his or her Satsanga. But it isn’t enough. You need one more wonder ingredient for Satsanga and for getting lucky – serendipity. You need serendipity to meet awesome people. The dictionary defines “serendipity” as “good luck in making unexpected and fortunate discoveries”. Doesn’t it look like the chicken and the egg problem, eh? 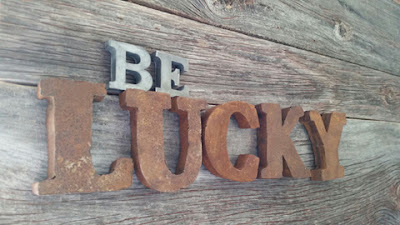 You need to hang out with great people to be lucky, and you need luck to meet great people. Yea, I know. It sounds absurd – How can I control serendipity! Of course, you cannot. No one can. But, you can attract serendipity. Let me tell you how. I’m not a great fan of mathematics. Most of us are not. But it answers a lot of our questions. And it also tells us how to attract serendipity. The answer is quite aboveboard – probability. That’s it. Probability leads to serendipity. If you try to meet one successful person, you might fail. If you try to befriend just one smart chap, you might flunk; but if you try it out with umpteen number of people, your success is assured. I can tell you this because I did it myself. And I can tell you this too – the more experience you have, the more probability of your success is there. With the time, we learn how to get along with people better, how to make friends with more ease, how to touch their hearts and how to attract serendipity in meeting people. Just improve the probability by giving a bit more effort. You never know where somebody’s going to end up. It’s not just about building your reputation; it really is about being there for other people. And yea, as I always say – just do it, do it, do it! Two guys were walking through the jungle. All of a sudden, a tiger appeared from a distance, running toward them. One of the guys took out a costly pair of shoes from his bag and started to put them on. The other guy, with a surprised look on his face, exclaimed, "Do you think you will run faster than the tiger with those?" His friend replied, "I don't have to outrun it, I just have to run faster than you." It’s one of the most pervasive jokes about success. I googled “success joke” and found it everywhere over Internet. And this is precisely the idea of success for most people these days, albeit a very mediocre one. 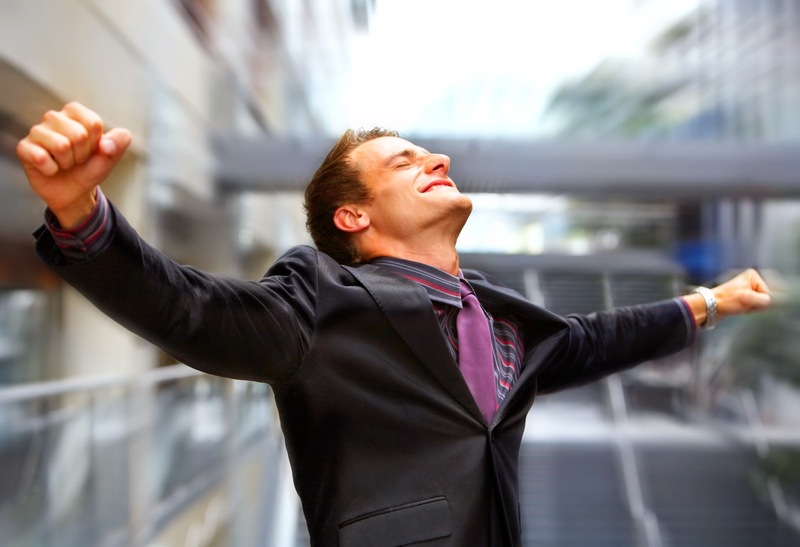 True success comes with excellence where you do not outperform someone else, but use your own full potential. When you want to outperform others, you don’t explore tremendous possibilities lying dormant inside. Success, at the end of the day, isn’t about others - what others achieve and what they don’t. It is about you. It’s about discovering the powers within and activating these powers. If you can do it, you can succeed in whatever you do. This heading - The Secret Ingredient Of Success - is inspired by Kung Fu Panda. Those of you who have watched it, would be able to relate. Here, I’ve used it to activate your taste-buds too, because I’m feeling quite hungry while writing this article (Why should only I suffer?). Well, Yoga is the science to unlock these inner resources that you have and putting them in use. In Gita, Krishna says, “योग: कर्मसु कौशलम्”; i.e. Yoga is the excellence at work. Whatever you do, Yoga transforms quality of your actions and lead you toward excellence and success. But, how can it be achieved? How to bring highest excellence in your actions? Therefore, while performing any action, if you are able to restrain your mind from wavering and can focus completely on action taking place in that moment, quality of your action transforms. In East, this complete awareness toward the actions taking place moment-to-moment is called “Ekagrata” or one-pointedness. At times, it is loosely translated as “concentration” in English. Swami Vivekananda laughed and assured them he had never handled a gun before. The main difference between men and the animals is the difference in their power of concentration. All success in any line of work is the result of this. Everybody knows something about concentration. We see its results every day. High achievements in art, music, etc., are the results of concentration. Nadi Shodhana or alternate nostril breathing purifies the nerves in your subtle body or Sukshma Sharira. These nerves are pathways or channels of Prana, the basic unit of energy. You should understand this – performing Yoga generates a lot of energy, but if these nerve pathways are blocked, this energy cannot reach at the right spots and, therefore, no benefit can be reaped. So, in order to unblock these energy channels, this technique of Nadi Shodhana is not only important, but necessary too. If you practice Nadi Shodhana twice a day for about 15 minutes, your nerve pathways will be unblocked in 3-4 months and then, you will be able to reap the immense benefits that Yoga has to offer. Your senses will become sharper and you will be healthier, and harshness of your voice will be reduced. Once it happens, you can ascertain that nerves in your subtle body are opening up. This is an open secret and if you do not know this secret, you cannot become a Yogi. In case, you do not know how to perform Nadi Shodhana, please watch my video on the same topic: Nadi Shodhana Yoga - Boost Your Brain Power. The nature of mind is to wander incessantly. 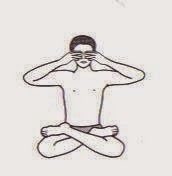 Bhramari Pranayama is a very effective method to relax your mind and let it be focused internally on its own. In this technique, a sound like a Bhramar (the carpenter bee) is produced that brings relaxed focus. Place your index fingers on your ears. There is a cartilage between your cheek and ear. Place your index fingers on the cartilage. Breath in deeply and make a humming sound like a bee while exhaling along with gently pressing the cartilage. This simple technique does wonders and one finds that his actions are becoming better as mind gets more and more relaxed. It will be great if you can do it 11 times twice a day. However, it also depends on your convenience. Have you ever paid attention to your breathing? Observe it deeply. Breathing takes place because of the motion of our lungs. There is a rhythm in natural breathing. But, we have lost it and our breathing is irregular now. Interestingly, breathing is only phenomenon in our organism that is both conscious and unconscious, i.e. we can control the flow of our breath if we want to, or it takes place automatically. So, by making our breathing rhythmical, we can slowly bring in the harmony in our entire organism that makes us healthy and youthful. Also, it makes our mind one-pointed and invigorated. With a one-pointed attention, mind will not be able to waver incessantly and whatever you do will be transformed into excellence. Remember, breathing is a very delicate process. We must not use any force to regulate our breathing. Exertion of force can harm your inner organs irreparably. Though it will be perfect if you can do it throughout the day while doing your regular stuff, but giving 10 minutes twice a day for bringing your breath into rhythm can really do wonders for you. To know more about rhythmic breathing and how it should be performed, please visit - Rhythmic Breathing: A Key to Unlock Your Potential. As per Yoga, meditation is complete attention without any flickering. Meditation, if practiced properly, prolongs attention span and transforms the quality of perception. It sharpens your intellect and balances your emotions, which are very important traits for effective communication. There are several different methods of meditation, but their core is same. Be a witness to any object, inner or outer, in your consciousness. This object can be anything – a Mantra or Chakra or stream of thoughts. Just observe it by paying your full attention and do not force your mind at all. After some practice, you will be surprised to see that chattering in your mind is getting lesser and lesser. Your expressions are getting impactful, your words full of energy and your understanding in-depth. Meditation changes your entire consciousness. To start with meditation, you may perform it 10 minutes twice a day. Further, you may increase the timings as per your convenience. To know more about meditation and how it is performed, you may like to visit the “Meditation” section of post – Improve Your Communication Skills with Yoga. “A journey of a thousand miles begins with a single step.” – says Lao Tzu. Seeking success, at the end of the day, is a very small goal. There are many grand things that Yoga can lead you toward. However, even taking the first step will set your direction. Immerse in the ocean of Yoga to find peace, happiness, to ultimately find what can be found, to find yourself. It’s the first step, also the ultimate – Do it! Do it! Do it! – Arise, awake and stop not, till the goal is reached. 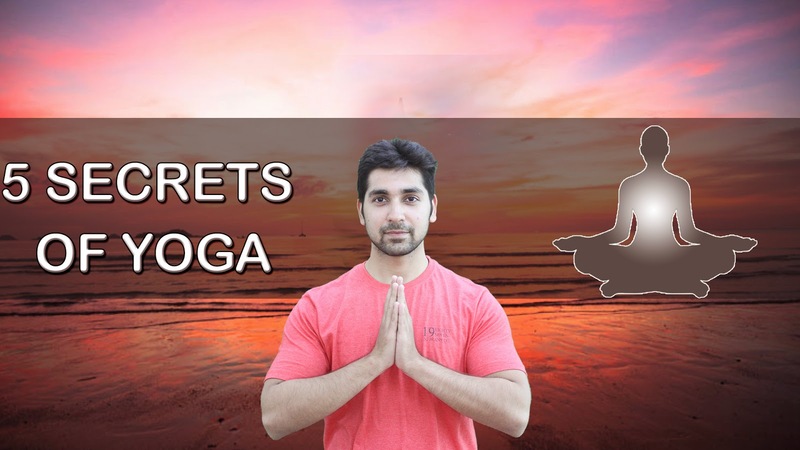 There are 5 secrets of Yoga – once you know these secrets, you can start your Yoga journey and become a Yogi or a Yogini. You will be able to unlock the infinite potential in you. You will get unseen treasures buried deep in yourself. These secrets and truths, if you do not know them, Yoga will become a cobweb of techniques. You will get stuck there with no progress. So, you must know these hidden truths. Many people claim – “Yoga is not effective. What Yoga says aren’t true and Yoga just gives a bit of flexibility – that’s it, and nothing more.” Actually, these people aren’t wrong, they’re right. You cannot reach the Himalayals if you start walking in opposite direction. And even if you reach, as earth is round, it’s going to take a lot of time. Similarly, no progress in Yoga can be made in right direction, if you do not purify your nerves using the method of Nadi Shodhana. Nadi Shodhana purifies the nerves in your subtle body or Sukshma Sharira. These nerves are pathways or channels of Prana, the basic unit of energy. You should understand this – performing Yoga generates a lot of energy, but if these nerve pathways are blocked, this energy cannot reach at the right spots and, therefore, no benefit can be reaped. So, in order to unblock these energy channels, this technique of Nadi Shodhana is not only important, but necessary too. If you practice Nadi Shodhana twice a day for about 15 minutes, your nerve pathways will be unblocked in 3-4 months and then, you will be able to reap the immense benefits that Yoga has to offer. Your senses will become sharper and you will be healthier, and harshness of your voice will be reduced. Once it happens, you can ascertain that nerves in your subtle body are opening up. This is an open secret and if you do not know this secret, you cannot become a Yogi. In case, you do not know how to perform Nadi Shodhana, please watch my video on the same topic: Nadi Shodhana Yoga - Boost Your Brain Power. Yoga is not what most people think it is. It is NOT gymnastics. You can perhaps become a gymnast by getting into all sorts of weird poses, but you can never become a Yogi by doing all this. What some phony Gurus teach on the name of Yoga these days, that’s crap. Vinnyasa is absolute crap. But, I don’t mean that it’s of no use. It might be a good exercise, but it is NOT Yoga. Whether you like it or you do not, but the truth is – Vinnyasa has nothing to do with Yoga. Yoga has been developed by those who were enlightened and groups of several such people worked over thousands of years one after another to come up with single Yoga technique. This is how Yoga developed. But, these days so called Gurus create their brand of Yoga without understanding it. They even do not know basics of Yoga. Unfortunately, Vinnyasa is one such bluff. If you want to get a good workout, it’s fine. But if you think you’re doing anything related to Yoga, it isn’t. It doesn’t even come under the limb of Asana as per Yoga. So, on the path to be a Yogi or Yogini, it’s of no help. Do not get misled by all these so-called Yogas gurus. To tread the path of Yoga, you must practice “Yoga”. You have immense potential, but it is yet to be explored. You have not tapped even a minuscule amount of your inner resources. Rhythmic breathing is the key that can help you unleash your hidden powers and lead you toward health, creativity, everlasting youth and self-realization. Breath is the bridge that connects body with mind. If you can breathe properly, you can control your body and mind. Our breathing is very haphazard. Yoga says – you should breath in a measured way, in and out. Join some mantra like Soham or Om while you breathe in and out. It’ll make your breathing more harmonious. The more your practice, the calmer you become. You will become full of energy, you’ll become healthy with a still mind and a healthy body, you will be prepared for advance techniques of Yoga to be a Yogi. If you want to know more about it, you can check out my blog-post on rhythmic breathing. Why to meditate, hmm? Do you want good health? Do you want a vibrant, yet peaceful mind? Do you want to be stress-free? Do you want to explore the realms of your consciousness, the unseen treasures that you possess, but you know not – meditation is the key. As per Yoga, meditation is complete attention without any flickering. Meditation, if practiced properly, prolongs attention span and transforms the quality of perception. It sharpens your intellect and balances your emotions. There are several different methods of meditation, but their core is same. Be a witness to any object, inner or outer, in your consciousness. This object can be anything – a Mantra or Chakra or stream of thoughts. Just observe it by paying your full attention and do not force your mind at all. Just be aware of wandering mind. By and by, the quality of your consciousness will be transformed. By and by, more and more of your subconscious mind will come under conscious control. By and by, you will realize that you are beyond body and mind. By and by, you will get transformed into something, for which Vedas say – neti, neti – it cannot be described using language, beyond limitations. Meditation is yoga, yoga is meditation. 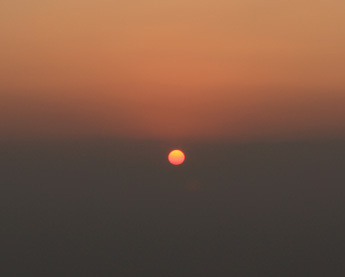 Last, but not the least – A journey of a thousand miles begins with a single step – says Lao-tzu. Take that step and immerse in the ocean of Yoga to find peace, happiness, to find what can be found, to find you. It’s the first step, also the ultimate – Do it, do it, do it!!! – arise, awake and stop not, till the goal is reached. Om!!! 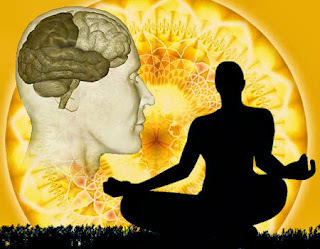 How to activate dormant parts of brain by Yoga? Human brain is the most complex mechanism in this world. Science is trying to delve deeper into it and find the hidden secrets, yet there is certainly a long way to go. We know very little about the nature of human brain and how it works. As you are reading it now, you might be wondering – What makes one a genius – this is something wrapped in the covers of mystery and most people are not aware about it. According to Yoga philosophy, all of us have the seed of being extraordinarily genius. We have most powerful mechanism of the world – human brain. But, we do not know how to activate it, how to ignite its dormant powers. Scientists estimate the processing power of an average brain to be about 100 million MIPS (Million computer Instructions Per Second). Which means the brain is like a 1,68,0000 MHz Pentium computer. And mind you, this is a very vague calculation. Most of the human beings share quite similar structure and size of the brain. The most probing questions that arises here is – what makes one extra-ordinary and outshine others? Obviously, it is not biological factors as most of us have same sort of brain wirings. The biological models of the brain would have to include some 225,000,000,000,000,000 (225 million billion) interactions between cell types, neurotransmitters, neuromodulators, axonal branches and dendritic spines, and that doesn’t include the influences of dendritic geometry, or the approximately 1 trillion glial cells which may or may not be important for neural information processing. Because the brain is nonlinear, and because it is so much larger than all current computers, it seems likely that it functions in a completely different fashion and all the existing computers of the world combined together cannot match the capacity of a single human brain. Yoga gives us the key to activate this dormant capacity. 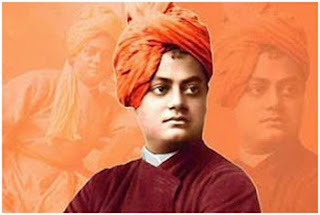 When the famous saint, Swami Vivekananda, was living in Chicago, USA, he used to go to the library, borrow large volumes of books, take them home and return them the next day. After some time the librarian became curious and asked him, "Why do you take out so many books when you can't possibly read them all in one day?" Swami Vivekananda replied that he read each and every page of every book. The librarian could not believe it, and so Swami Vivekananda asked her to test him. She opened a book, selected a page and paragraph, and asked him to tell her what was written there. Swami Vivekananda repeated the sentence exactly as it was written in the book, without looking at it. The librarian was astounded and did more tests. Each time Swami Vivekananda repeated the exact words written in the book. Later the librarian discovered that Swami Vivekananda had a photographic memory. Whenever he wished, he could just recall - a book, a page, a sentence. That was the capacity of his brain and mind. Swami Vivekananda said many-a-times that it was not a unique ability he possessed and many Yogis could do the same with equal ease. We do not perceive anything completely, i.e. usually we are not 100% present in the action. While listening to someone, while looking at something, while working or playing, several thoughts constantly tinker in the background. Yoga insists that this continuous flow of thoughts consumes most of our energy, captures vast amount of our active brain and works as a hindrance in activation of the dormant parts of our brain. “Effort or thought is a distraction from ‘what is’. The moment I accept ‘what is’ there is no struggle.” says J Krishnamurti, “When mind is quiet and sees ‘what is’ without any distortion, true understanding takes place instantly.” This is the key that a genius, a Yogi uses instinctively, while others miss altogether. A Yogi perceives the world as it is, without any layer of thought, and accesses the instant insight that invokes the spark of creativity. There is a popular story that Newton was sitting under an apple tree one day. It was a pleasant day and he was in the mood to relax. An apple fell on his head, and he suddenly flash of the Universal Law of Gravitation. He discovered all the mathematical formulae to prove this assumption later. Let me tell you another intriguing, but true story about another great scientist. One day in 1895, a boy was gazing toward the sky and all of a sudden wondered what the universe would look like if he could travel on a beam of light. That sixteen year old boy was Albert Einstein and that one flash got him on the road to discover his Theory of Relativity. As our unconscious mind stores, categorizes and analyzes everything happened in our individual life, similarly the “collective unconscious” stores, categorizes and analyzes everything happened with humanity. So, when the surface of our brain has no activity of thought, we get access to collective unconscious that let us do wonders. The immense knowledge and wisdom of collective unconscious gives us great understanding, unbelievable creativity and insight into the secrets of universe. It makes great scientists, unparalleled painters, wonderful artists, and amazing musicians out of common men and women. This is the door to become a genius. But this door is locked, and to tap this unlimited potential and enter into it, one needs to unlock it using meditation. Till the time we conceive ourselves as ‘doer’ and feel involved in activities, we cannot be an observer, and therefore we cannot get access to collective unconscious. An observation can only be objective when one is unattached. To do this is a practical problem and Yogis say the solution of this problem lies in meditation. Meditation is that key which can unlock the riches that are ours, but still out of our reach. Meditation helps us drop the efforts and see clearly ‘what is’. Philosophy of Yoga says that everything is interdependent. 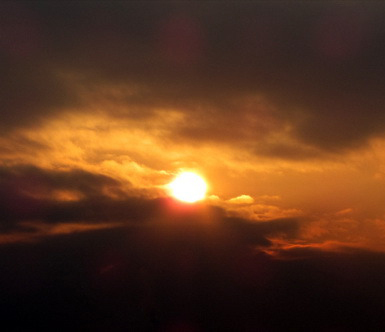 As a small plant is dependent on the light of Sun, so is the situation of Sun. It is also somewhere dependent on that small plant. There is always a balance. If this balance is disturbed, things would start going awry. And this is the reason, Yogis say all of us are associated with each other. Meditation expands the consciousness and you may feel the same after a while. As per Yoga, meditation is complete attention without any flickering. Meditation, if practiced properly, prolongs attention span and transforms the quality of perception. It sharpens your intellect and balances your emotions, which are very important traits for effective communication. There are several different methods of meditation, but their core is same. Be a witness to any object, inner or outer, in your consciousness. This object can be anything – a Mantra or Chakra or stream of thoughts. Just observe it by paying your full attention and do not force your mind at all. To know more about meditation and how it is performed, you may like to visit the “Meditation” section of my previous post – Improve Your Communication Skills with Yoga. To understand meditation more clearly, we can imagine a seesaw. You must have seen children playing on it in the parks. To get things going, child on both sides depend on the other one. If even one of them is not there, the balance is broken and seesaw stops. Entire universe is like this only. Through meditation, when we understand clearly whatever we do is the outcome of the efforts of entire universe, and not our individual efforts, we cease to imagine ourselves as ‘doer’. Meditation shows us that we are a part of cosmic play that is going on every moment. And when we come to understand this simple truth that we are not doer, we become objective and we start observing things as they are, without any distortion, without any layer of thoughts and without any fancy of imagination. We clearly see ‘what is’ and awake the genius in us at that very moment.